Gharbi, M.A., Beller, D.A., Sharifi-Mood, N., Gupta, R., Kamien, R.D., Yang, S. and Stebe, K.J. Elastocapillary driven assembly of particles at free-standing smectic-A films. 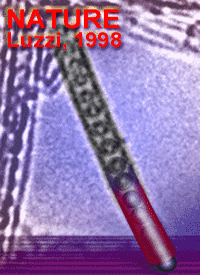 Langmuir 34, 2006-2013, doi:10.1021/acs.langmuir.7b03351 (2018). Harrington, M. and Durian, D.J. Anisotropic particles strengthen granular pillars under compression. Physical Review E 97, 012904, doi:10.1103/PhysRevE.97.012904 (2018). Hor, J.L., Wang, H.N., Fakhraai, Z. and Lee, D. Effect of physical nanoconfinement on the viscosity of unentangled polymers during capillary rise infiltration. Macromolecules 51, 5069-5078, doi:10.1021/acs.macromol.8b00966 (2018). Hor, J.L., Wang, H.N., Fakhraai, Z. and Lee, D. Effects of polymer-nanoparticle interactions on the viscosity of unentangled polymers under extreme nanoconfinement during capillary rise infiltration. 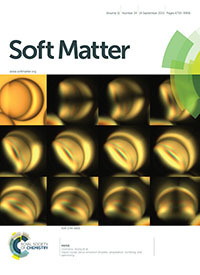 Soft Matter 14, 2438-2446, doi:10.1039/c7sm02465g (2018). Ma, R.Y. and Lukes, J.R. Validity of the isotropic thermal conductivity assumption in supercell lattice dynamics. Journal of Applied Physics 123, 065106, doi:10.1063/1.5007054 (2018). Xia, Y., Mathis, T.S., Zhao, M.-Q., Anasori, B., Dang, A., Zhou, Z., Cho, H., Gogotsi, Y. and Yang, S. Thickness-independent capacitance of vertically aligned liquid-crystalline MXenes. 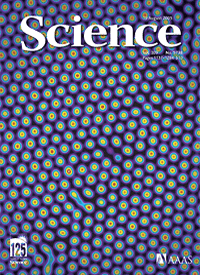 Nature 557, 409-412, doi:10.1038/s41586-018-0109-z (2018). Ban, E., Franklin, J.M., Nam, S., Smith, L.R., Wang, H.L., Wells, R.G., Chaudhuri, O., Liphardt, J.T. and Shenoy, V.B. Mechanisms of plastic deformation in collagen networks induced by cellular forces. Biophysical Journal 114, 450-461, doi:10.1016/j.bpj.2017.11.3739 (2018). Cho, Y., Minsky, H.K., Jiang, Y.J., Yin, K.Y., Turner, K.T. and Yang, S. Shear adhesion of tapered nanopillar arrays. 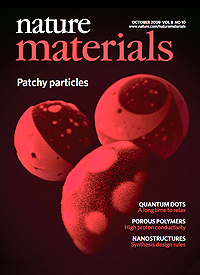 ACS Applied Materials & Interfaces 10, 11391-11397, doi:10.1021/acsami.8b02303 (2018). Farhadi, S., Machaca, S., Aird, J., Maldonado, B.O.T., Davis, S., Arratia, P.E. and Durian, D.J. Dynamics and thermodynamics of air- driven active spinners. 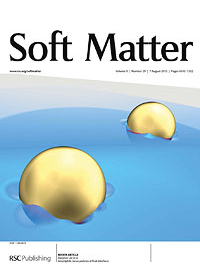 Soft Matter 14, 5588-5594, doi:10.1039/c8sm00403j (2018). Friedman, E.S., Bittinger, K., Esipova, T.V., Hou, L.K., Chau, L.L., Jiang, J., Mesaros, C., Lund, P.J., Liang, X., FitzGerald, G.A., Goulian, M., Lee, D., Garcia, B.A., Blair, I.A., Vinogradov, S.A. and Wu, G.D. 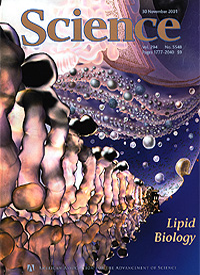 Microbes vs. chemistry in the origin of the anaerobic gut lumen. 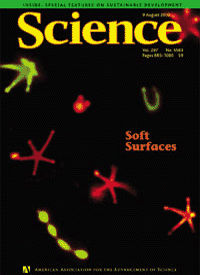 Proceedings of the National Academy of Sciences USA 115, 4170-4175, doi:10.1073/pnas.1718635115 (2018). Mao, X.M. and Lubensky, T.C. Maxwell lattices and topological mechanics. Annual Review of Condensed Matter Physics, Vol 9 9, 413-433, doi:10.1146/annurev-conmatphys-033117-054235 (2018). 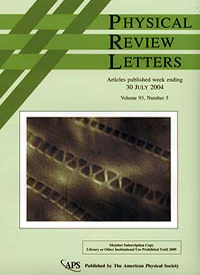 Marks, S.M. and Patel, A.J. Antifreeze protein hydration waters: Unstructured unless bound to ice. 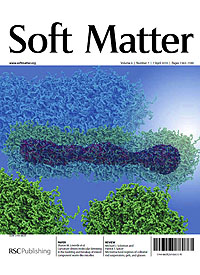 Proceedings of the National Academy of Sciences USA 115, 8244-8246, doi:10.1073/pnas.1810812115 (2018). 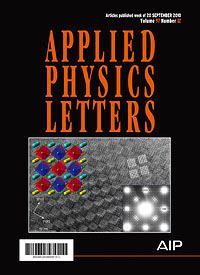 Mealy, J.E., Chung, J.J., Jeong, H.H., Issadore, D., Lee, D., Atluri, P. and Burdick, J.A. 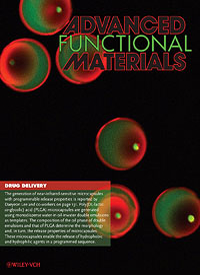 Injectable granular hydrogels with multifunctional properties for biomedical applications. Advanced Materials 30, 1705912, doi:10.1002/adma.201705912 (2018). Nair, P.R., Alvey, C., Jin, X.L., Irianto, J., Ivanovska, I. and Discher, D.E. Filomicelles deliver a chemo-differentiation combination of paclitaxel and retinoic acid that durably represses carcinomas in liver to prolong survival. Bioconjugate Chemistry 29, 914-927, doi:10.1021/acs.bioconjchem.7b00816 (2018). Rapp, T.L., Highley, C.B., Manor, B.C., Burdick, J.A. and Dmochowski, I.J. Ruthenium-crosslinked hydrogels with rapid, visible-light degradation. Chemistry-A European Journal 24, 2328-2333, doi:10.1002/chem.201704580 (2018). Remsing, R.C., Xi, E.T. and Patel, A.J. Protein hydration thermodynamics: The influence of flexibility and salt on hydrophobin II hydration. 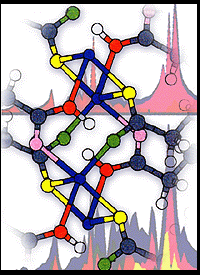 Journal of Physical Chemistry B 122, 3635-3646, doi:10.1021/acs.jpcb.7b12060 (2018). Smith, L.R., Cho, S. and Discher, D.E. Stem cell differentiation is regulated by extracellular matrix mechanics. Physiology 33, 16-25, doi:10.1152/physiol.00026.2017 (2018). Xi, E., Marks, S.M., Fialoke, S. and Patel, A.J. Sparse sampling of water density fluctuations near liquid-vapor coexistence. 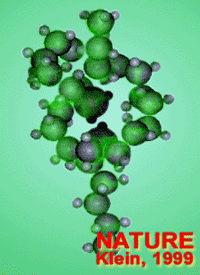 Molecular Simulation 44, 1124-1135, doi:10.1080/08927022.2018.1457218 (2018). Zhang, M.L., Guo, J.C., Yu, Y., Wu, Y.T., Yun, H., Jishkariani, D., Chen, W.X., Greybush, N.J., Kubel, C., Stein, A., Murray, C.B. and Kagan, C.R. 3D Nanofabrication via chemo-mechanical transformation of nanocrystal/bulk heterostructures. Advanced Materials 30, 6, doi:10.1002/adma.201800233 (2018). 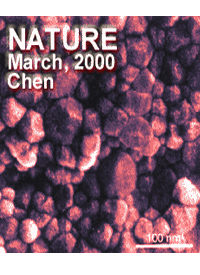 Zhao, Q.H., Zhao, T.S., Guo, J.C., Chen, W.X., Zhang, M.L. and Kagan, C.R. The effect of dielectric environment on doping efficiency in colloidal pbse nanostructures. ACS Nano 12, 1313-1320, doi:10.1021/acsnano.7b07602 (2018). Hopper, D.A., Grote, R.R., Parks, S.M. and Bassett, L.C. Amplified sensitivity of nitrogen-vacancy spins in nanodiamonds using all-optical charge readout. ACS Nano 12, 4678-4686, doi:10.1021/acsnano.8b01265 (2018).